In March I took a trip to Peru and I'm already itching to go back. I visited Lima, the Sacred Valley, Machu Picchu and Cusco; all very different and offering an amazing insight into this wonderful country. If you're planning a trip to Peru or need inspiration on a perfect foodie & active destination, I'd love to hear from you. Hotel B - this boutique hotel sits pretty in the Barranco area of the city. A perfect distance from the ocean and an area home to many of Peru’s best-known artists, musicians, designers and photographers, it's a great place to be based whilst discovering Lima. An early morning trip to the fish market, a local "street food tour", a half day city tour with a local or beer & pisco tasting. Neighbourhoods Barranco and Miraflores can be easily explored at leisure. El Mercado, Centrale, Maido, La Picantería. Inkaterra La Casona, Hotel Monasterio or Belmond Palacio Nazarenas. All three hotels are located on the same square in the perfect Cusco location. Cusco is a wonderful place to wander the cobblestone streets and take in the colonial architecture. Visit San Pedro market, hang out in the San Blas district, take a cooking class, get involved in a Pisco tasting and learn how to whip up your own Pisco Sour. Just outside the city, take in the view from Limbus Restobar and be sure to visit Vinicunca a.k.a Rainbow Mountain for a view like no other. Fly with the wind by tandem paraglide over the beautiful landscape, cycle or trek along Andean terraces, horseback ride to remote villages, kayak under snowcapped peaks and visit pre-Colombian sites, colonial churches. Sol y Luna - breathtaking in so many ways; the views, the staff and the overall story. Stay in cosy ‘casitas’ made of local stone and individually decorated, swim in the beautiful outdoor pool and enjoy a post-activity glass of fizz in the jacuzzi. An incredibly special place. Time is key. 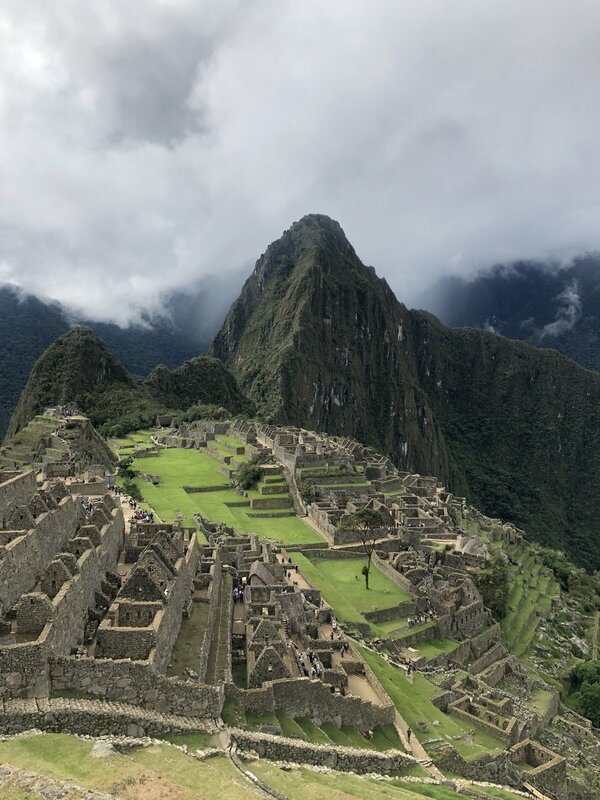 If the full 4-day Inca Trail won't fit into the time you have, the 1-day Inca Trek is a great way to experience the route and enjoy reaching Machu Picchu via the Sun Gate. Arriving at Machu Picchu Citadel mid-afternoon gives you the chance to see this incredible site when the morning visitors have left for the day. The next morning take a tour of the Citadel and climb neighbouring Huayna Picchu for the most impressive views over Machu Picchu. Spend the night in Aguas Calientes at Inkaterra. Depart Machu Picchu in style on the Belmond Hiram Bingham Train.